Social media has taken over our lives and although it’s still in its infancy, it looks like it is here to stay. Being a marketer myself and focusing heavily on social media I often get asked how social media can be a real job? With the average person checking their phone 47 times per day according to Deloitte, the need for a social media marketer is in demand more than ever. 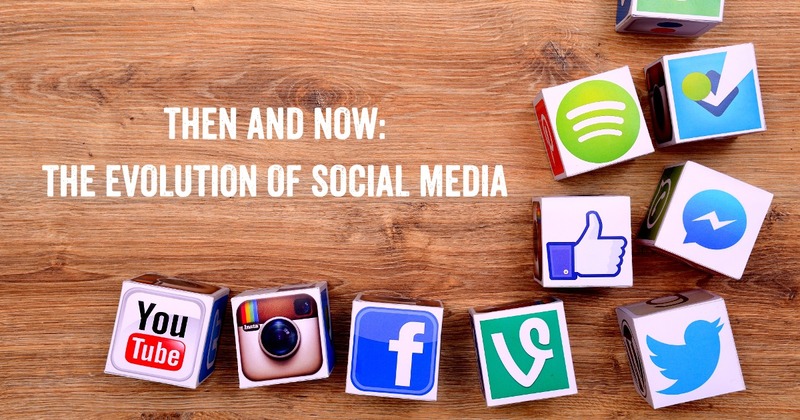 With Facebook debuting in 2004 and sites like Twitter and Instagram coming shortly after I’ve rounded up the 5 biggest ways that social media has changed over the years. We all know we're guilty of this. If you have a question you expect to be able to pull out your phone or tablet and find the answer. But what happens when the answer isn’t there? The digital age has made us so accustomed to getting what we want when we want that when it's not there we panic. Now more than ever people are reaching to social media to voice their opinions and concerns hoping that someone out there can provide them with the answer. Although many businesses have embraced social media and see it as a way to connect with their followers instantaneously some businesses are feeling threatened. Mistakes on social media are highly visible and can easily go viral if not tended to in a speedy manner. Companies like United Airlines and many others have faced global backlash and even lost revenue due to their responses or lack of to customers social posts and reviews. Every 60 seconds 3.3 million people post to Facebook. Content is everywhere, whether it's via social media or messaging apps that it's actually being referred to as content shock. Although digital marketing has created a huge opportunity for marketers, it also means they have their work cut out for them. With so much content out there, it’s important to come up with original ideas that make your brand stand out from the rest. Don’t be scared to experiment with new ideas to see which posts drive engagement and work best for your business. In 2004 Mark Zuckerberg created the social media giant Facebook which would not only change the way we connect with our friends and family but how we connect with brands. Social media is now one of the most vital parts of any businesses digital marketing strategy and without it, it may be impossible to stand out from your competition. Social media has also created a huge sense of urgency. Apps like Snapchat which has the popular story feature makes photos and videos available for 24 hours. This feature has altered user's behavior and urged them to act now to have a more real-time experience before the content disappears. Apps like Snapchat and many others have made communicating with friends and businesses almost effortless. For the longest time marketers were pushing content and ads to anyone they could reach in hopes that they would find that one person that would want to make the purchase. With the development of better research and higher quality content and targeting, ads are now tailored to show us exactly what we're interested in. According to CMO, 85% of users are more likely to buy a product if the message is personalized and supported by social. Where are all of the celebrity endorsements? Social media sites like Instagram and YouTube have allowed the average person to become incredibly powerful by becoming an influencer. Credentials? All you need is a powerful organic following. Brands now send free products or offer commissions to these influencers in return for using and reviewing their products on their social media channels and the impact is huge. According to Forbes, it’s the most effective way to influence consumer behavior. Nothing appeals to a buyer more than seeing a real person in a real environment wearing or using a product.